E is for Explore! : Static Electricity! 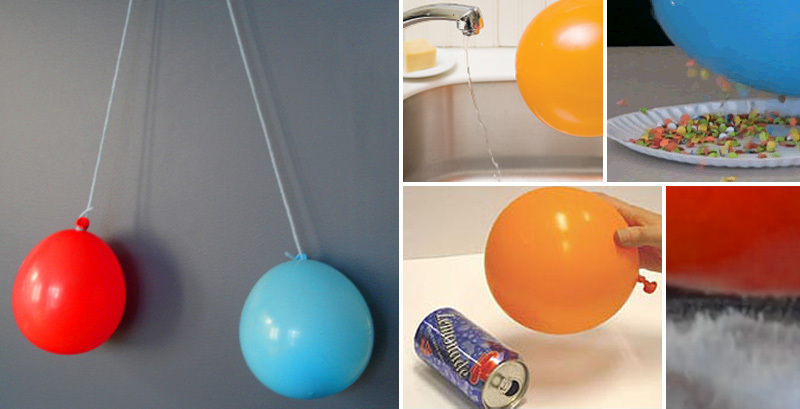 Have kids experiment with having two balloons attract and repel. Visit Learning Ideas K-8 for instructions! Rub a record with wool and hold it over Rice Krispies cereal. The cereal will snap, crackle, and fly! Now, rub a ballon with wool and see if it can pick up cut pieces of paper or tissue. The tissue will be attracted to the balloon, then jump away! Can you pick up anything else with a charged balloon? 1. Lay the can on a flat surface. 2. Rub a balloon on your head or wool. 3. Hold the balloon close to your can, without touching it. Make gelatin raise the roof with static electricity! Pour some unflavored gelatin on a flat surface. Then, rub a blown up balloon on your head (super fast) or wool to create a charge. Once the balloon is all charged up, place it over the gelatin (without touching). The balloon will raise the gelatin up into the air! Visit Zoom for the full explanation. Visit Disney Family Fun for instructions! Can you make a straw rotate in a full circle without touching it?! Check out the Surfing Scientist and amaze your friends! Make a tissue paper snake rise up! Visit Powerhouse Museum for instructions! Great idea about having a soda can race.! 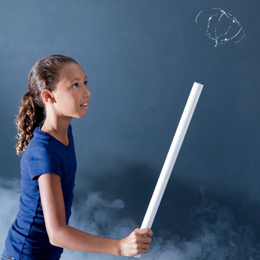 Teaching kids about static electricity while having fun at the same time!